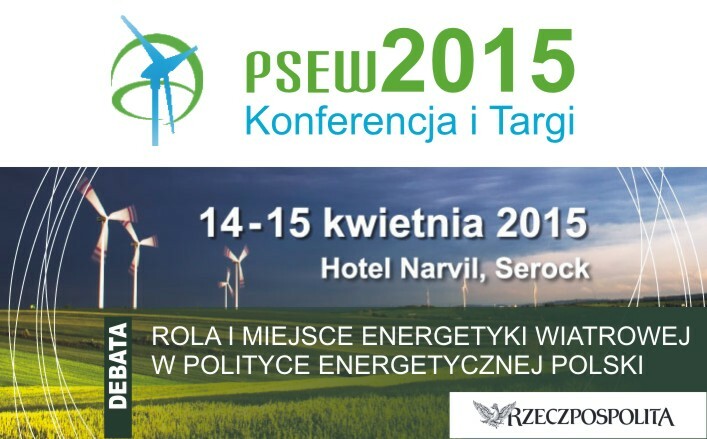 We would like to invite you for the “The role of wind energy in the Energy Policy of Poland” Rzeczpospolita debate which will be held during the Polish Wind Energy Association Conference&Exhibition in Serock at 1000 hours on 14 April 2015. – Will the introduction of new regulations help Poland to achieve the targets for the production of electricity stemming from the EU commitments?– The European Commission, presenting the assumptions to the Energy Union, confirmed its commitment to achieve the 40% GHG emission reduction by 2030 target. Is Poland capable of complying with the criterion without a substantial increase in the share of renewable energy sources in the national energy mix post 2020? – Did the states where the role of renewable energy sources in energy policy is becoming increasingly important made made the right or wrong step by promoting the development of green technologies? – The energy mix of Energy Policy of Poland until 2050 assumes increased use of coal. Wind energy is one of the least onerous and least expensive electricity production technologies that does not jeopardize the stability of the National Power System. However, the Energy Policy of Poland until 2050 does not provide for a substantial increase in the share of electricity from wind. What market for wind energy is to be expected in the years to come? – Henryk Majchrzak, President, PSE S.A. The tenth PWEA Conference&Exhibition is the largest industry event in Central and Eastern Europe. Almost 50 exhibitors from all around the globe will present a broad list of new products, services and technological solutions for the wind power industry. We are expecting more than 600 attendees. This is the only event in Poland comprehensively demonstrating the importance of the RES industry for the Polish energy sector.